I know what I will want to wear when the days start getting cooler! "Hand Painted 100% Silk accessories and clothing using professional Silk dye. 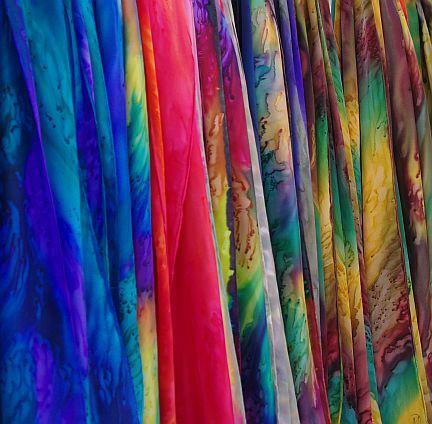 Techniques include Salt Dye, Serti and Overdye to create beautiful, wearable art that is machine washable."